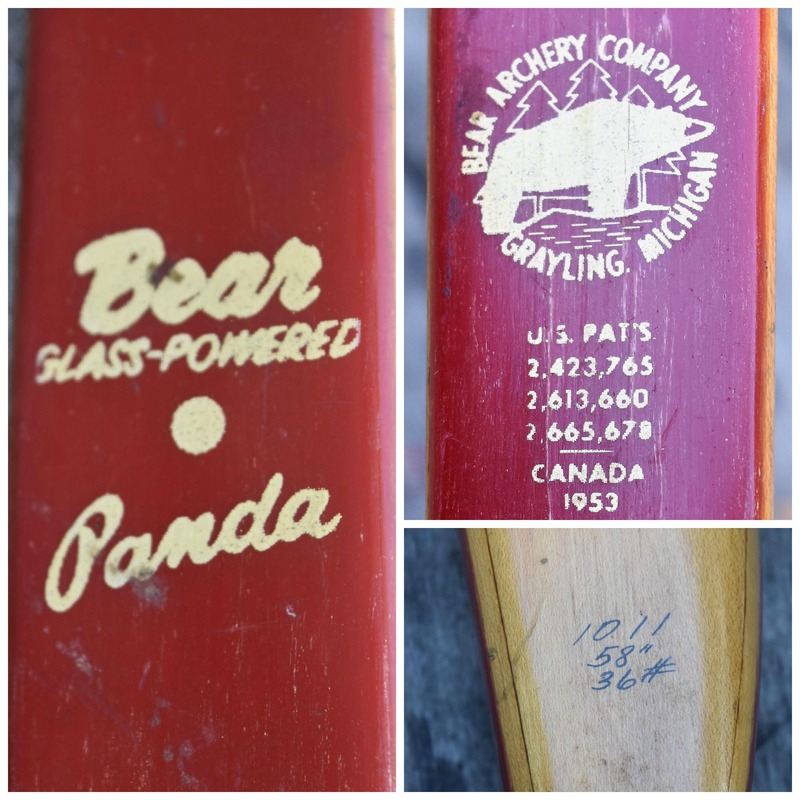 This vintage recurve bow is a Bear Panda from either 1959 or 1960. 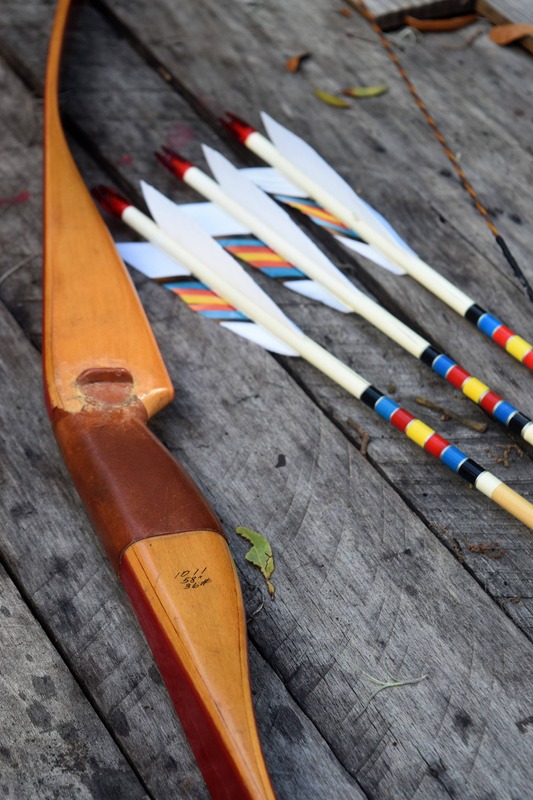 Anyone who shoots traditional archery knows a little something about Fred Bear and his long line of archery products. 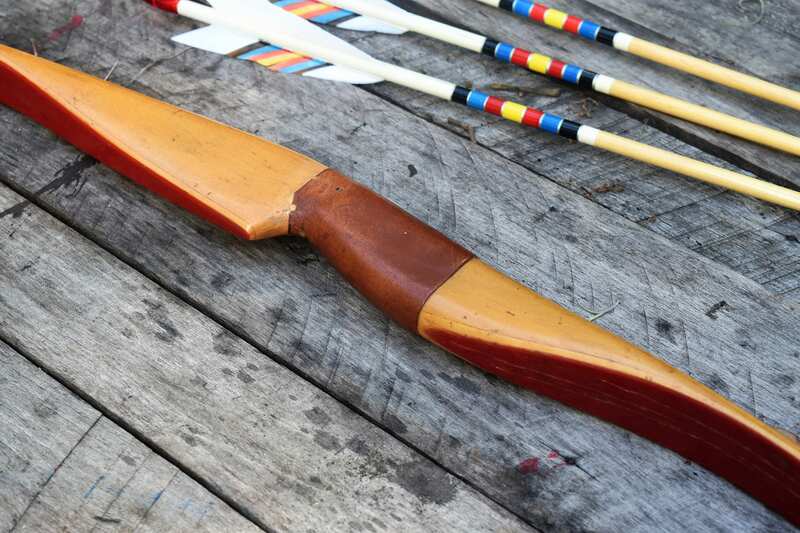 These bows are reliable, well made and have stood the test of time. This Bear "Panda" is in good vintage condition, the limbs are straight but as seen in the pictures it has quite a few stress lines. We have shot this bow but it may be best for someone who collects. There is a small plastic shelf for the arrow to rest on while shooting and the riser has a leather grip that is definitely showing it's age. 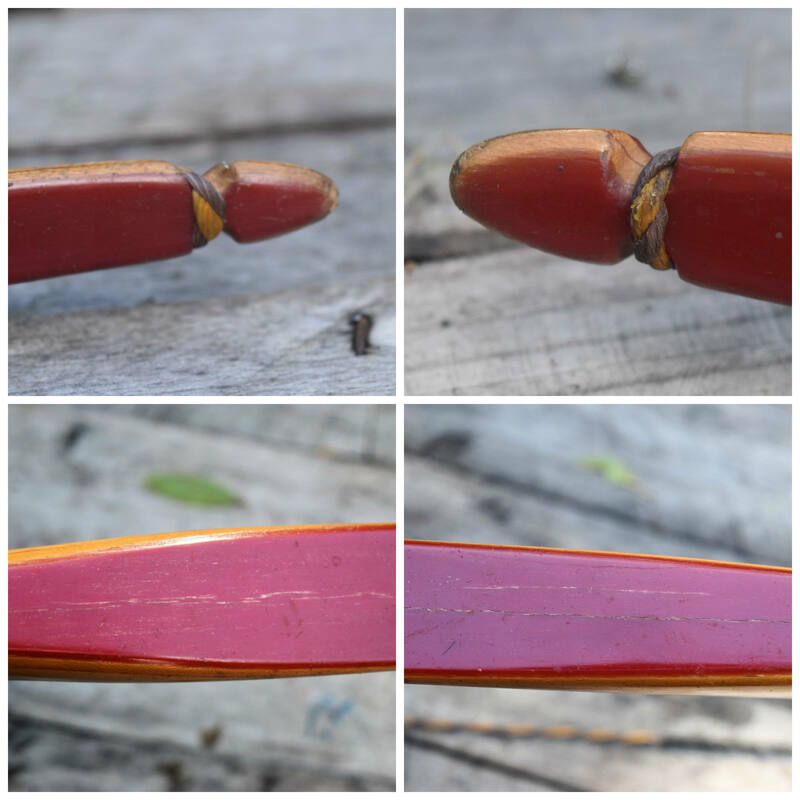 This bow was originally put out as a beginner or youth bow and was touted in the bear catalog as " The best buy for beginners and school ranges". The bow has an AMO of 58" and is 36#. 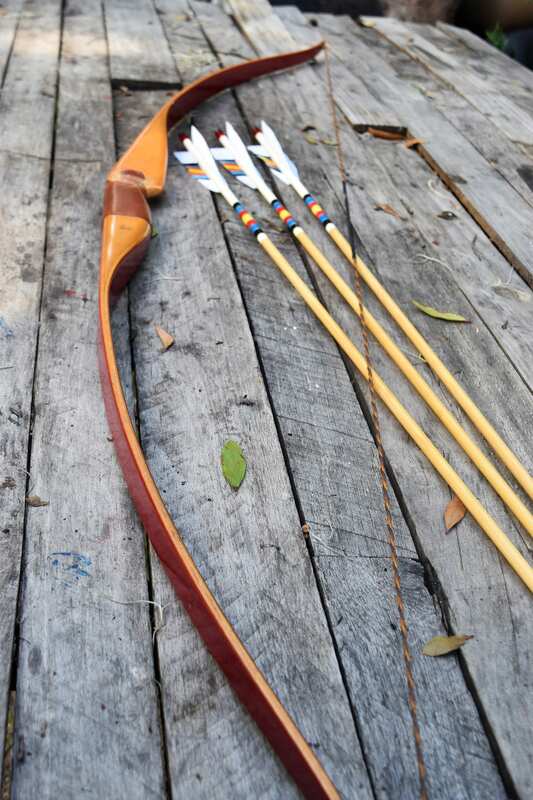 The bow has been equipped with a new brown and gold Flemish twist string with black serving and nocking point, making this bow ready to shoot upon arrival. This listing is for the bow only, if you are interested in anything else you see check my shop and the links below. If you are looking for a full package with items you see in my shop convo me and we can work out a package deal.